President Muhammadu Buhari has again vetoed the Electoral Act Amendment Bill 2018, citing drafting issues, which he said might affect the interpretation and application of the principal act. 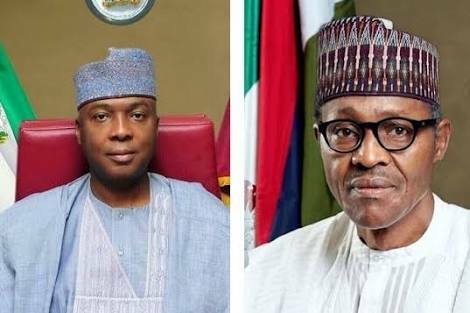 According to the president in separate communications to the President of the Senate, Dr. Bukola Saraki, and the Speaker of House of Representatives, Hon. Yakubu Dogara, some of the provisions of the bill would adversely affect the operations of INEC. The president was, however, vague about the offensive provisions even as the veto meant a rejection of the use of electronic card readers for the conduct of the 2019 general election, which many political analysts said would make the nation’s electoral process cleaner. This is the second time the president would be vetoing alterations to the electoral law. The Senior Special Assistant to the President on National Assembly Matters, Senator Ita Enang, however, confirmed to ThisDay on phone last night that his boss declined assent to the second amendment bill for stated reasons, adding, however, that a third bill on the same subject that was passed on July 24, 2018, was pending before the president. “I will make a clear statement on it tomorrow,” he said. Buhari had in March this year rejected the amendment to the electoral law, which altered the sequence of elections placing the National Assembly election first, followed by presidential election while governorship and state Houses of Assembly elections would hold last. “Section 25 of the principal act, may infringe upon the constitutionally guaranteed discretion of INEC to organise, undertake and supervise elections provided in Section 15(A) of the third statue to the Constitution;” he had said. The Court of Appeal, however, ruled earlier in the month that the National Assembly has constitutional powers to order the sequence of election. Ironically, the rejection of the bill would now render useless and inapplicable, the president’s provisioning for purchase and upgrading of new electronic card readers for the INEC as part of the N242 billion 2019 election budget. The Supreme Court had ruled that while the card reader and other electronic devise would enhance the transparency of the electoral system, it was, however, not part of the electoral law. It was in an attempt to legalise the devise that the federal legislature decided to codify and include it in the electoral law. “We see this as not only disingenuous but hypocritical for a President who won election following introduction of card readers but has now turned around to reject it. What is he (Buhari) afraid of,” a ranking lawmaker told ThisDay out of frustration Monday. “Remember, he rejected the first bill because of sequence of election. We then decided to remove it from the bill and all other concerns the president raised, and we sent the bill with the hope that he will sign it since these concerns have been addressed,” he said.